It’s the best party on a bicycle. 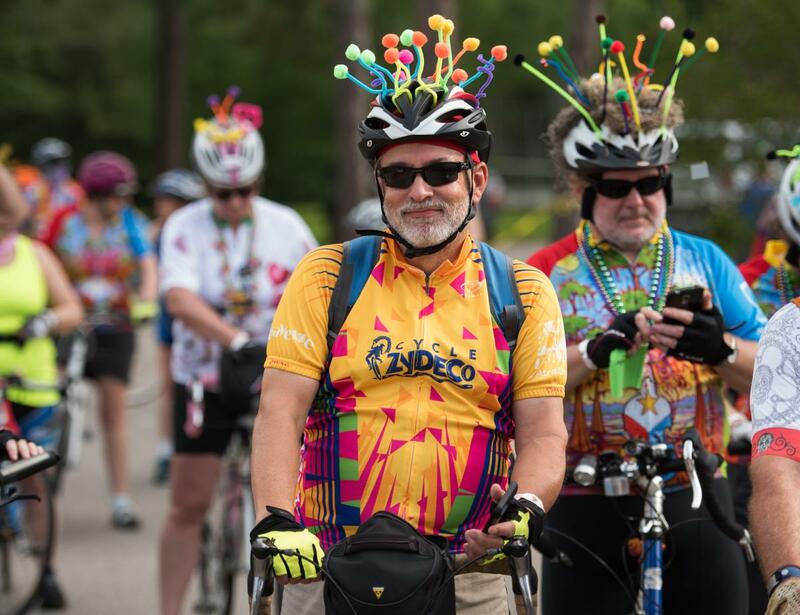 Cyclists from all 50 states and all over the world have participated in Cycle Zydeco, a four-day tour of Louisiana’s Cajun Country held every April. Last year the festival drew cyclists from mostly Canadian provinces, a large group from France, and from as far as New Zealand. But the most impressive participant was Bernard Hinault, five-time Tour de France winner. Hinault was presented with a golden key to the city and received the honorary title of Capitaine de Cycle Zydeco. 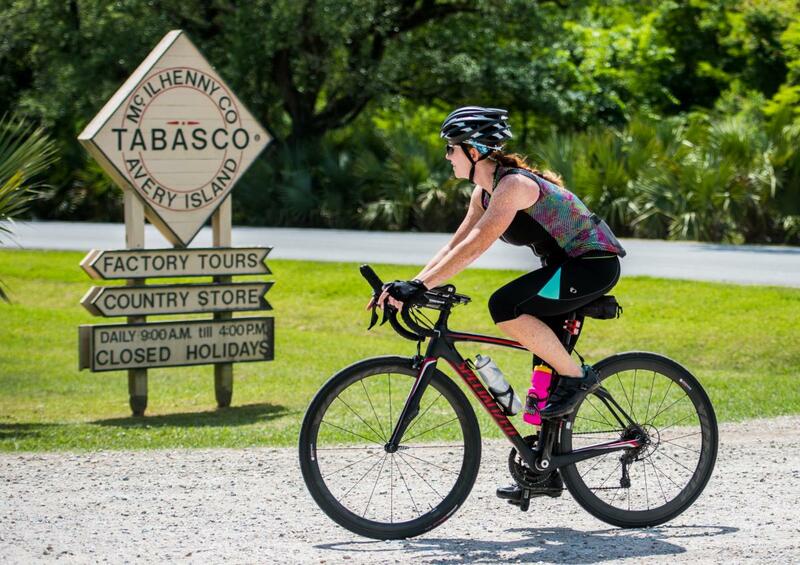 Some 600 cyclists are expected to ride this year, embarking on a swamp tour and stopping by significant sites such as the Evangeline Oak. Cyclists typically go 38 miles (61 km) a day on the main route and 62.14 miles (100 km) or more on the long route, a relaxed pace for professionals on the racing circuit. One popular element each year is the scavenger hunt designed to encourage cyclists to get off their bikes, learn some local history and explore the area. Since food is a major part of Cajun culture, there’s also no shortage of Louisiana’s world-famous cuisine on the tour. The event kicks off Wednesday, April 24 in downtown Lafayette in conjunction with Festival International de Louisiane, the country’s largest international music and arts festival. Over the next four days, cyclists will cruise Acadiana’s low-lying roads past rice fields, crawfish ponds, sugar cane, and cypress forests. Thursday’s route includes “Boudin, Chickens & Washboards,” with such stops as Sunset, Grand Coteau and Scott. 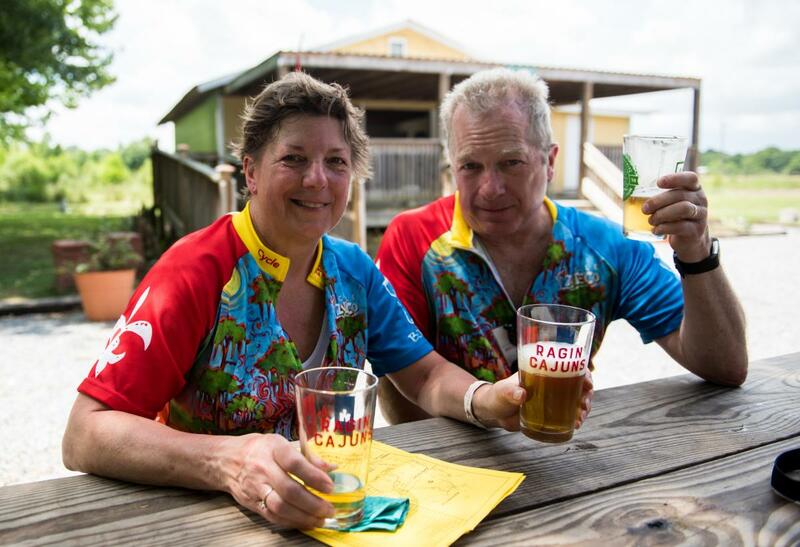 Friday’s ride highlights “Beignets, Basin, Beers and Boogie,” with stops in Arnaudville and Henderson. Saturday’s “Sugar and Spice” brings riders to New Iberia, dubbed America’s most beautiful downtown by author James Lee Burke. 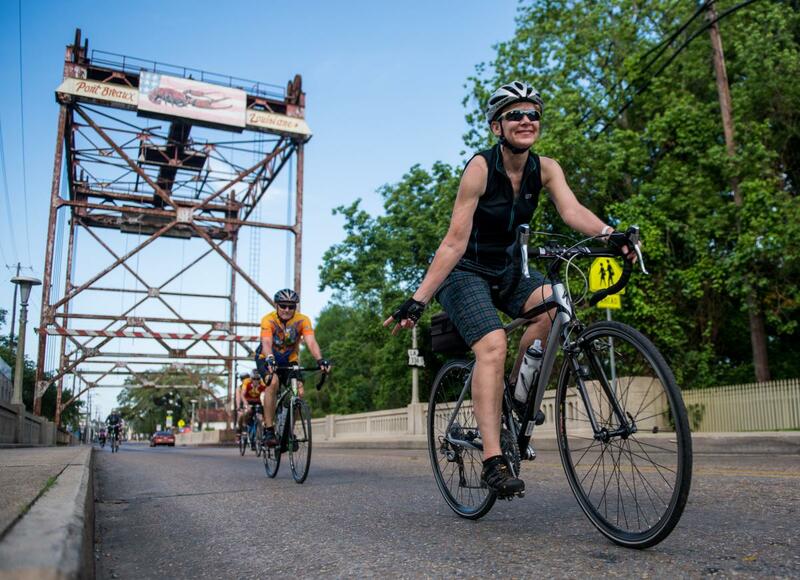 Cyclists return to Lafayette Sunday. Held since 2001, Cycle Zydeco helps build parks and recreational facilities around Acadiana. For more information and to register, visit CycleZydeco.org. Allons Rouler! Let’s ride, y’all!